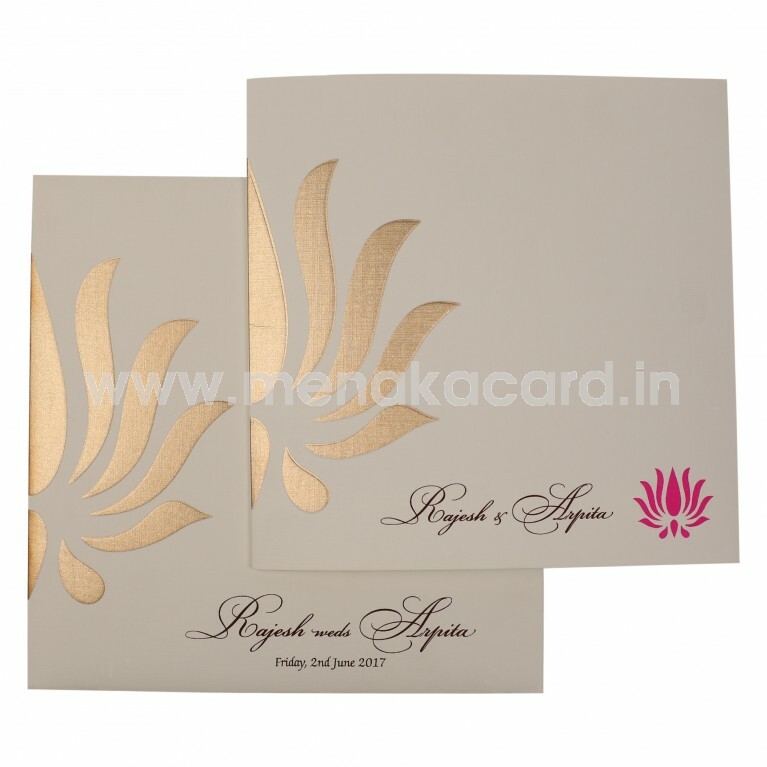 This Minimalist and elegant Off-white is made from an off-white matte finish board and has a simplistic embossed lotus motif printed on it in with gold ink next to the couple’s names. 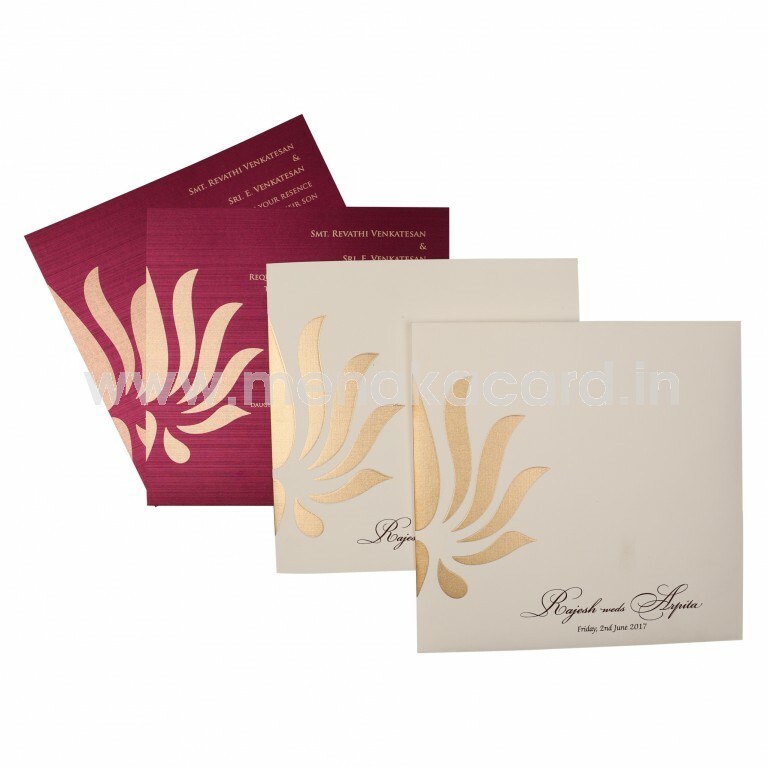 This book folding card contains two contrasting magenta inserts carrying forward the same lotus motif in gold ink. The matching envelope mirrors the card front. 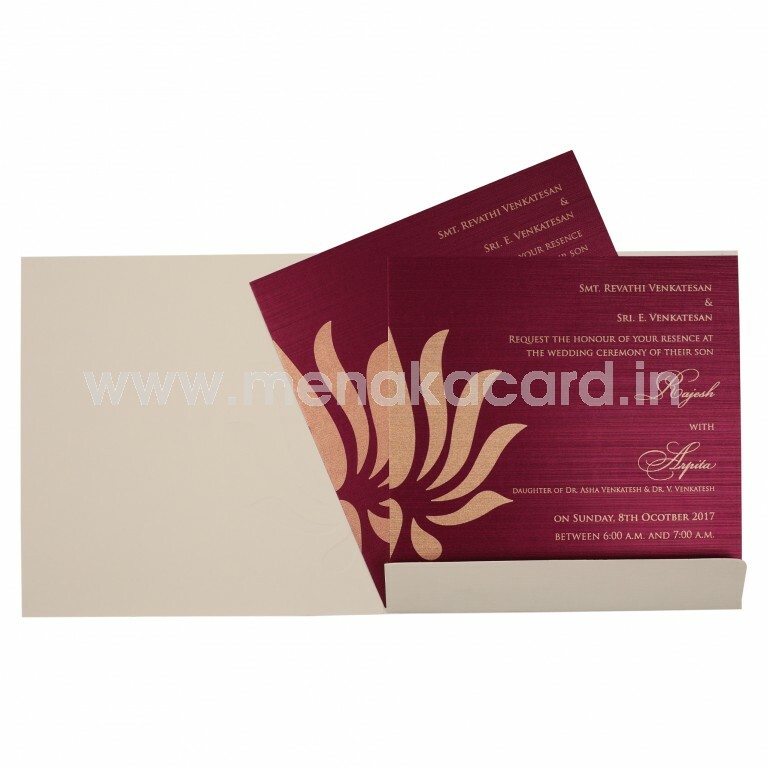 This card can be customized as required with regards to color, lotus motif and insert colors as well. It can be used for all occasions like engagement, wedding, seemandham, reception.